After the harvesting of organs from non-consenting prisoners received international attention in 2006, the Ministry of Health implemented a new approval system for transplant hospitals. Among the 1,000 that applied, 169 eventually received permits to continue performing transplants. Our research found that, while some smaller, unapproved institutions either reduced or stopped transplant operations, others that could still obtain organs continued to operate. Large, approved institutions achieved even greater growth with decreased competition. Thus, the industry as a whole has continued to grow steadily since 2006. The investigators found that China performs the most transplants of any nation in the world.6 7 Since 2000, the U.S. has performed an average of approximate 6,000 liver transplants a year.8 In China, this figure is matched by just a few hospitals. Tianjin Oriental Organ Transplant Center, for instance, has more than 500 dedicated transplant beds. 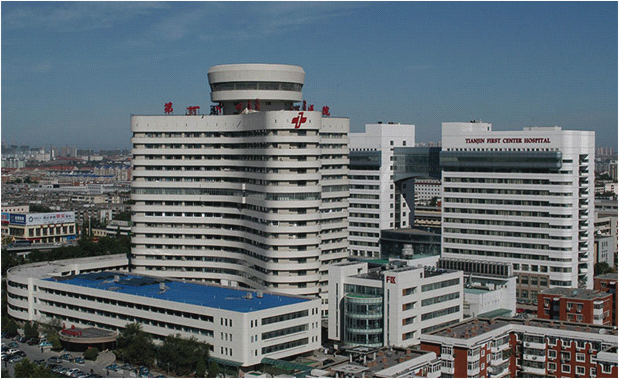 This 17-story organ transplantation building at Oriental Organ Transplant Center at Tianjin First Central Hospital opened in 2006 with 500 dedicated transplant beds.